On one level, the sizable body of work accumulated by celebrated writer/artist Dar Williams is a continuing narrative of her life — what she’s experienced and what she’s observed during her years of intensive touring. On another, it forms a detailed look at the course of modern‐day existence in the decade and a half between 1993, when Williams released her debut album, The Honesty Room, and 2008, her seventh and most recent studio album, Promised Land. Throughout her career, Williams has employed a reporter’s keen eye and a fiction writer’s feel for nuance in the act of confronting what she’s described as “the big picture of how people approach life,” by examining and illuminating the minute details. These juxtaposed thematic arcs, laden with intriguing narrative twists and vivid imagery, are cast in sharp relief on Many Great Companions, a two‐CD set that generously and comprehensively pairs a career overview with the artist’s latest recording project. The first disc contains luminous, newly recorded acoustic performances of a dozen of Williams’ most sharply drawn and resonant songs; the second cherry‐picks 19 of her classics, along with her uplifting take on Ray Davies’ Kinks gem “Better Things,” which fits in seamlessly with the originals. On the new tracks, Williams is joined by Gary Louris of the Jayhawks, who doubles as producer, sometimes in tandem with the artist. Also making memorable appearances are Sean and Sara Watkins of Nickel Creek fame, fellow singer/songwriters Mary Chapin Carpenter and Patty Larkin, and the trio Motherlode. As a whole, the collection charts Williams’ course from an upstart neo‐folkie to a seasoned artist who’s also a community‐involved wife, mother and “involved neighbor,” as she puts it. Williams and her husband Michael, who live in the Hudson River Valley 90 minutes from New York City, have a six‐year‐old son, Stephen, and an adopted daughter, Ethiopia‐born Taya, who’s one and a half. Both of them are addicted to the New York Times crossword puzzle, and Williams fondly recalls the two of them sitting side by side in the studio between takes working their way through each daily challenge, peeking at each other’s progress — in a perfect metaphor for collaboration. It wasn’t difficult for Williams to choose the 26 songs (six of which appear in both the original and newly recorded acoustic versions); her loyal audiences have let her know exactly what they react to most enthusiastically during the course of several thousand shows over the years. In order to fully engage with the dozen songs she tackled for a second time in the studio, Williams says, “I emptied myself out.” The results of this zen¬like approach are subtly devastating. 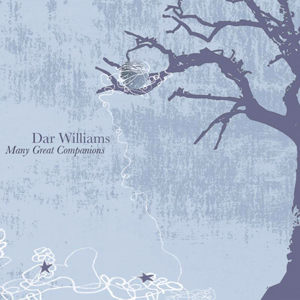 Williams’ greatest gift as a writer is her ability to get inside the heads of her characters, no matter how removed their mindsets and values are from her own, doing so with consistent and sometimes surprising compassion, exemplified by the dysfunctional extended family of “The Christians and the Pagans” (from her second album, 1996’s Mortal City, and newly recorded during the acoustic sessions) and the true believer of “Teen for God” (from her sixth LP, 2005’s My Better Self ). At the same time, she’s piercingly honest when looking at her own life, as when she dug deep into her childhood memories on “The Babysitter’s Here” (another audience favorite appearing in both its original 1993 version and a new recording) Throughout her career, she’s remained fully capable of laughing at herself, as she expresses her observations and emotions in a consistently relatable way. Asked about what insights she gained from the experience of working on the project, Williams says her love of the three Js — Joni Mitchell, Joan Baez and Judy Collins — came through loud and clear. “I really did sound a lot more than Joni Mitchell than I realized,” she says with a wry smile. Williams’ growth as a person over her 15‐year career has gone hand‐in‐hand with her evolution as an artist. Raised in Chappaqua, N.Y., and educated at Wesleyan University, Williams spent 10 years living in the thriving artistic community of Northampton, Massachussetts., where she began to make the rounds on the coffeehouse circuit. Joan Baez, an early fan of her music, took Williams out on the road and recorded several of her songs. All seven of her studio albums — including The Green World (2000) and The Beauty of the Rain (2003), are amply represented on the balanced Many Great Companions — she’s also released the onstage document Out There Live (2001) and the DVD Live at Bearsville Theater (2007).